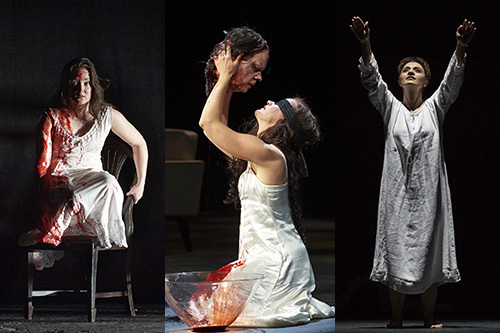 The COC celebrates 25 Dora Award nominations! Last week for 2012/2013! Don't miss these spectacular productions! There's only a week left of our 2012/2013 season and we have three world-class productions running almost every day at the Four Seasons Centre for the Performing Arts! The critics are raving about our spring season, which is full of obsessive desires and gut-wrenching devotion. Read what they are saying and watch our exclusive behind-the-scenes videos for each production! Atom Egoyan's dramatic interpretation of Strauss's dark opera was described as "one of the dark jewels of the Canadian Opera Company" and that the third time must be a charm because Stage Door said "if you have seen this production before, you will find that it has only grown in richness of interpretation". With knock-out performances by Erika Sunnegårdh who performed with "power and beauty" and Richard Margison who sang "magnificently" in his role debut, the music left the Toronto Sun saying that "under the baton of Johannes Debus, the COC Orchestra is on hand to give a finely-etched and sensitive reading of Strauss’s complex score." Read more critical acclaim for Salome here. Dialogues des Carmélites: A masterful Dialogue!